New South Dental Transitions specializes in assisting dentist & dental practice buyers & sellers in transition planning, management & purchasing, buying or selling dental practices throughout North Georgia & the Atlanta metro area. Our consultants, appraisers & brokers provide consulting, appraisal & valuation services. New South Dental Transitions was founded on the very simple concept that buying, selling or merging a practice is one of the most important professional decisions a client will ever make. Our goal is not to just complete another transition, but rather to do everything within our power to ensure that our clients are equipped with the knowledge necessary to make the most prudent business decisions. This goal is accomplished through over 20 years of experience in dental transitions. We pride ourselves in having built a reputation for working side-by-side with clients to ensure success, believing deeply in honesty and integrity, and treating clients with the respect they deserve. We are committed to providing clients a level of service superior to anywhere else. Now more than ever, it is important that you choose an experienced professional to assist with your transition. Whether you are considering buying a practice, selling a practice, or merging with another professional; please contact us for a no cost personal consultation. You will be glad you did. New South Dental Transitions is a full-service dental practice transition consulting firm that offers custom practice transition services. For dental professionals transitioning a practice, we proudly offer the most innovative, pro-active specialty marketing concepts and campaigns available today. Whatever the reason may be for transition, New South Dental Transitions takes pride in responsive, respectful and confidential service. Our dual representative approach provides for a "win-win" situation through which we are able to avoid confrontational and adversarial posturing. This allows for a smooth and pleasant experience. Confidentiality is assured through the use of confidentiality agreements and screening of all individual inquiring on or responding to practice marketing and advertising. Our unique solutions and experience provide you with the absolute highest level of exposure to potential purchasers while maintaining privacy and discretion. Through such innovative programs, we have developed strategies to bring buyers and sellers together. We can also be of service in challenging environments, including practice mergers, pre-retirement and deferred acquisition programs. For Sellers we provide Pro-active, Full Service Professional Marketing and Advertising! The marketing process should be a smooth and pleasant experience! We proudly offer the most innovative specialty marketing campaigns and advertising concepts available today to professionals who are seeking qualified candidates to purchase their practice. At New South Dental Transitions, we know how much time and capital is wasted when a qualified candidate can not be located efficiently. Our solutions are designed to eliminate those frustrations and costs. Our focus is to assist our clients in achieving both personal and professional goals through a strategy that provides a "win-win" situation for all. Confidentiality is assured through the use of confidentiality agreements and screening of all individuals inquiring about or responding to marketing and advertising. Our unique approach and experience provide you with the absolute highest level of exposure to potential interested candidates while maintaining your privacy and discretion. Through such innovative programs we have developed strategies to market in the most difficult and challenging environments. We are dedicated to providing pro-active, professional, and results driven solutions. Thank you for considering New South Dental Transitions to assist you in the marketing and advertising of your practice. Please contact one of our representatives for more information on our free practice appraisals. For Practice Purchasers we offer information on outstanding practice opportunities throughout Georgia. Many of these positions are non-published opportunities or exclusive private listings that can only be found here. Whether you are a seasoned individual looking for a judicious change or you are newly graduated and looking for the right career opportunity, we provide you with the widest array of choices. These choices afford you the opportunity to make the right decision for your personal and professional future. Please visit our Practice Listings section or contact us for more information. Is this the right practice for me? A buyer needs to be able to envision him or herself in the practice they may be purchasing. 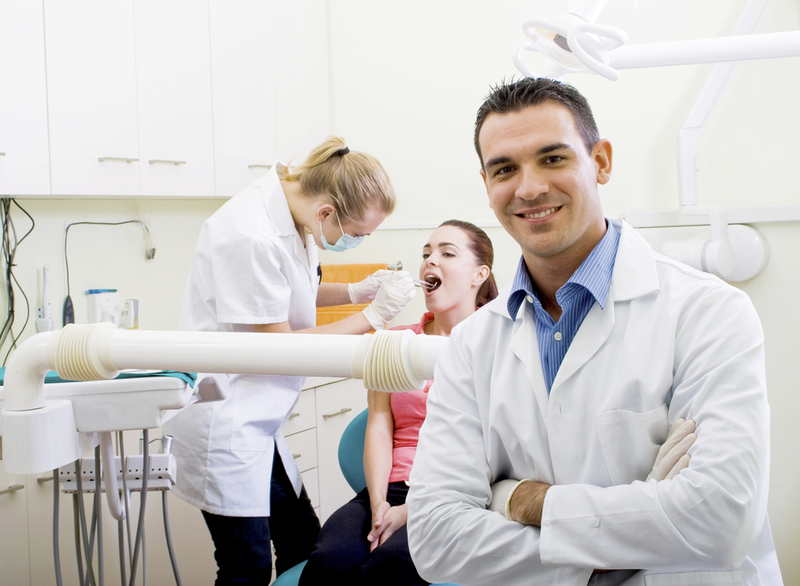 A dentist should be a good fit to the basic philosophy, skill level and personality style of the seller. This increases the likelihood that the practice is a good match. What options do I have for buying? There are numerous methods of transferring ownership in a practice: complete purchase, delayed buy-in/buy-out through partnership or merger. A seller needs to decide if he or she wishes to continue to work at the practice and how many days, if necessary. If the time frame is less than two years, in most cases the complete sale is the method of choice. Is it necessary to have the seller work at the practice after the sale? No, most dental practice sale transactions do not require the previous owner staying on as an associate particularly if the practice being sold is a general private practice. If the practice is large enough and supporting more than one working dentist, it could be an advantage to the buyer to have the seller stay on if the seller is agreeable to do so. How long should the transition last? Most practice sale transitions are quite brief. The keys to a successful transition are a good letter of introduction and a staff who will help endorse the new doctor. In many general practices, the transition lasts only until the owner finishes the cases in progress as of the closing date. If the practice can support more than one doctor and the seller would like to stay on, then the transition can last as long as agreed to by both doctors. In specialty practices, a transition may need to be longer to accommodate the referral sources introduction to the buyer. Has all the dentistry been done? There is nothing left for me to do! The idea that a practice’s dentistry has all been completed is a misunderstanding from a buyer’s perspective. There are always new treatment plans to be found in the flow of new patients and recall patient visits. The primary reason one buys an existing practice is to acquire the new patient referrals from the active patient base. If the practice is established it would be incorrect to assume that all the dentistry is completed. If so, then even the seller would not have any treatment to perform. An ethical seller will want you to be successful in the purchase of his or her practice. As part of your practice purchase, analysis reviewing, treatment planning and patient charts will assist your assessment of work that needs to be done and assess the amount of new patient flow. How does one determine the value or worth of the practice? All small businesses such as dental practices have two major components: the tangible and intangible. Tangible assets include equipment, leasehold improvements, furniture, supplies, and instruments. An intangible component is the value known as goodwill. Goodwill is defined as the value a buyer is willing to pay over and above the value of the tangible assets. Goodwill is based on many factors with two key elements: cash flow and the desirability of that particular practice. A buyer evaluates many factors such as location, patient base, staffing, fee structure and more. The more positive or desirable those factors are the more the buyer market is willing to pay and lenders are willing to lend. It is always advisable to have a practice broker professional knowledgeable enough about the dental marketplace do an appraisal/analysis of the practice. Practice acquisition capital can come from several sources: the buyer (cash) or financial lender. A seller also can take a seller’s note. Typically a seller’s note is for only a portion/ percentage of the sale at an interest rate that is agreeable to both seller and buyer. A seller should decide before the practice is put on the market whether or not he/she wants to finance any part of the sale. There are both advantages and disadvantages to seller financing. If a sale is fully funded by a loan, a seller will not take a note as there is no need to assume the risk of being a lender. The current lending environment for dental practice buyers is 100% of the purchase price, plus working capital, with re-payment option terms that vary from five, seven to ten years or more. Financially strong buyers usually can obtain better loan rates and terms. Any lender will review the purchase of the practice, credit of the buyer and cash flow of the practice itself to determine sufficient income and revenue for debt service. What are the tax ramifications? There is no sales tax on the sale of dental practices in Georgia. The buyer will be able to write off immediate expenses such as supplies as well as write off from the depreciation of equipment. Goodwill is also depreciable over longer periods of time. This can be beneficial after the equipment depreciation write off has been exhausted. It is always advisable for a seller to strategize with his or her accountant regarding proceeds from the practice sale. Sellers will pay income/capital gain taxes on any of the profit from the total sales price. Intangible assets such as goodwill and patient records are taxed at capital gain rates and the restrictive covenant is taxed at ordinary rates. Is it necessary to use an accountant and or an attorney? As a broker and agent, we recommend both seller and buyer seek counsel from an accountant and/or attorney. Only an attorney can offer legal advice and only an accountant can offer financial advice. Buyers and sellers are welcome to use any attorney or accountant they wish, we just recommend that they use someone familiar with the business of dental practices so they will be adequately represented and protected. Referrals for accountants and attorneys are available upon request. Accountants become necessary after an offer is accepted and the beginning of the due diligence period as well as to determine and review the allocated values of the purchase price for tax purposes. Attorneys generally become involved in the review of an asset purchase agreement or to review leases if the buyer feels it is necessary. Accountant and attorney fees are independent of any broker fees or commissions. Fees charged by attorneys and accountant are typically at an hourly rate and can vary from company to company. What are other expenses that are part of the practice sale? In addition to possible attorney and accountant fees, other expenses include lease security deposits and lease assignment fees. Occasionally buyers will also hire consultants from time to time to review a practice purchase or employ the services of a practice management consultant to aid in the transition process. How is the lease or real estate transfer handled? Seller-owned real estate will be sold or leased to the buyer at an agreed upon value or leasing rate. If the real estate is purchased along with the practice a lender may require a down payment on the building. The current lending environment allows for 100% of the practice acquisition, but not the real estate. Once due diligence and loan approval has been completed it is typical for the broker to initiate the lease assignment request. A buyer will have to apply with the landlord and be approved as a tenant for the lease assignment or new lease if available. Most practice sales use an assignment of existing lease to prevent any increases in rent to the new owner of the practice which could occur by the negotiation of a new lease. Buyers will need to obtain a lease that is equivalent to the term of their practice acquisition loan. When the lease assignment is initiated, additional lease renewal options can be requested, if needed. What are the necessary components in a partnership? Most partnerships are 50% ownership for each dentist. Issues to resolve and agree upon in contract negotiations include how to manage the practice, the agreed upon value of the practice and the applicable terms of the buy-in/buy-out or contract cancellation.